Let's face it, teaching brings about new challenges every single day! 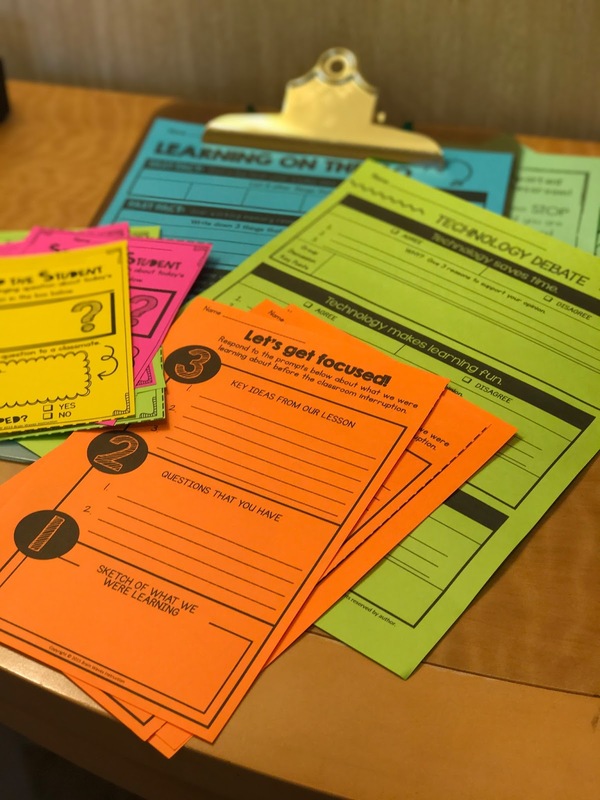 That's why I thought I'd compile 3 freebies that you can use to make some of those days in your classroom a little easier! 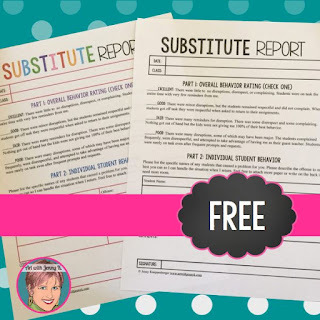 I'm sharing free print-and-use resources to help you create a teacher vision, free resources to save derailed lessons, and even a substitute feedback form. They're all about helping you survive in the classroom! And...if you find something you like, just download it for FREE! Here's a freebie that is perfect any day of the year! It's a Teacher Vision Poster created by Art with Jenny K. I'm starting with this idea because this freebie is all about getting back to the core of why you teach. 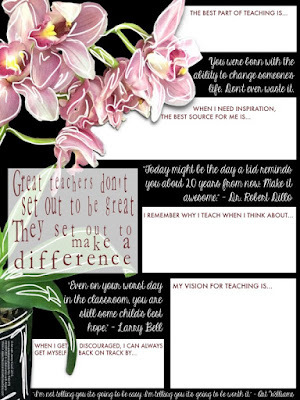 You might want to complete this poster and take time to reflect on your own personal vision as a teacher. 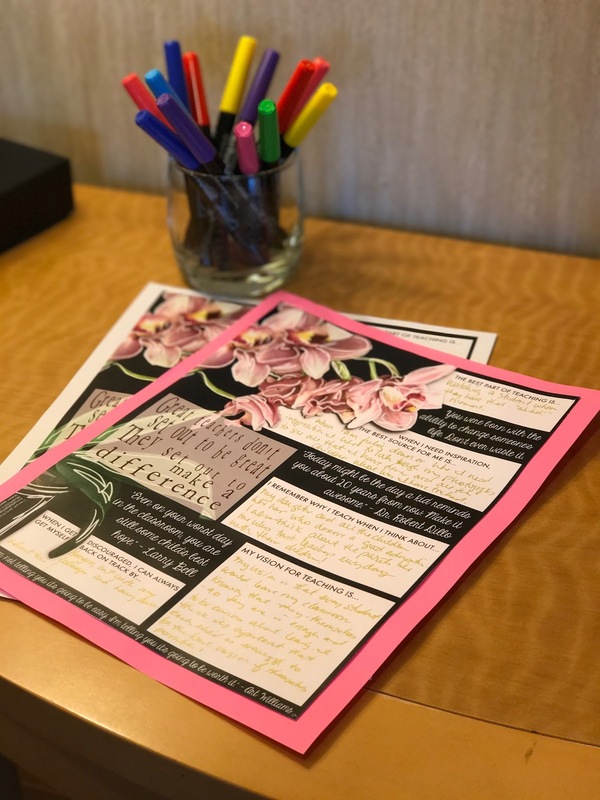 Since the poster is visually stunning, it's also great to display in your classroom. Your words and vision will surely help you survive some of those especially difficult days. Sometimes our days in the classroom are all about surviving the "little" interruptions that can completely de-rail a lesson. You know what I'm talking about, right? How about when there's a fire drill right in the middle of your instruction? Or, what about when the technology that you planned to use for the lesson completely fails? Oh, and what about when a student is having a rough day and making it especially hard to teach and learn? Wouldn't it be nice to have a set of ideas just in case something sends a lesson off track? Well, great news! I've compiled a set of Back Up Plans to help you survive common classroom problems. Download the Back Up Plans freebie HERE. Speaking of surviving, one of the daunting tasks that teachers have to face is preparing for a substitute teacher. It can be overwhelming to plan for a successful day in your absence. 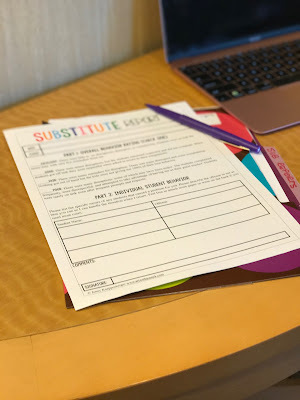 That's why you're going to love this Substitute Feedback Form that Art with Jenny K. has put together for you! With this form, your sub will have an easy way to keep track of behavior and leave you detailed notes about his or her day in your classroom. You can just stick this form on your desk or insert it into your substitute teacher binder and just like that, your life got a whole little easier! Well, that's all the teacher survival freebies that I've rounded up for today. I hope you can make at least one of them work in your classroom! P.S. Just click the images below to learn more about the freebies in this post! © Copyright 2017 Brainwaves Instruction. All Rights Reserved. Web Development by Steven L Smith. Design by Ruby & Sass.